These pages set out information about our provision for children and young people with Special Educational Needs or Disabilities (SEND). They are updated annually. Cognition and Learning needs; this includes children who have learning difficulties and specific learning difficulties such as dyslexia, dyspraxia and dyscalculia. Social, Emotional and Mental Health needs; this includes children who have difficulties such as ADHD, anxiety and Tourettes. Our Special Educational Needs Co-ordinator is Ms N Shale. The Assistant Headteacher with responsibility for Inclusion is Mr W Harvey. Either can be contacted via the email contact form (Click HERE) or by calling 01235 225700. Our Governor with responsibility for SEND is: Ms K McNab. Our SEND Administrator is: Ms D Steele. The academy uses Oxfordshire County Council’s guidance ‘Identifying and supporting Special Educational Needs in Oxfordshire schools and settings’. We will always contact parents if we have a concern that a child or young person may have a special educational need. We then work closely with them and parents/carers to agree outcomes and how we will all work towards these, and then to review progress. We do this by holding regular meetings, at parent evenings, using home-school link workers, student managers and scheduled phone calls. There are also opportunities for parents, children and young people to contribute to and be consulted on our policies on SEND and Equality. We do this through Governors / Parent Governors, parent forums and from within the tutoring system. 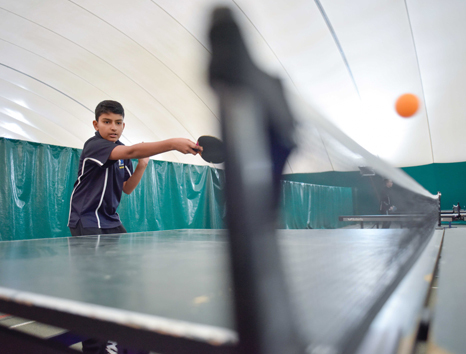 We offer a broad and balanced curriculum for all students, including those with SEND. The way we adapt our curriculum for children and young people with SEND and disabled students is set out in the Academy’s SEND Policy and Accessibility Plan, available on our website. We have targeted teaching groups in Maths and English (based on prior attainment) across all Year Groups. We have “The Link” Reintegration Programme for those at risk of exclusion. We have subject specific Learning Mentors who run interventions and in-class support to enable accelerated progress. We have Teaching Assistants to support students in making accelerated progress in class across the curriculum. We offer opportunities on specialist courses for young people from Year 9 in association with Abingdon College, Meadowbrook and On-Course. We also offer bespoke work experience for those with specific needs. We run intervention programmes to provide students with support in areas such as emotional literacy, social skills, attendance and preparation for adulthood. Our SENCo holds the NASENCO qualification. All teaching staff receive regular training in the adoption of the new SEND Code of Practice and the effective support of students with identified needs. There are also members of staff who have trained at a specialist level in Physical Support therapy. Learning Mentors and Teaching Assistants are trained to support the particular needs of the students they work with. We also have access to a range of specialist support services including Educational Psychology and SENSS, who support students with communication and language, sensory needs and physical needs. We always discuss the involvement of specialist SEND services with parents first. The progress of all students is tracked throughout, with regular data reports and updated profiles. In addition, for students with SEND we review progress towards agreed outcomes assessing whether the support that’s been in place has made a difference and what we need to do next. We evaluate this progress against age-related expectations. Information about how the governing body evaluates the success of the education that is provided for pupils with SEND is contained within the annual report to the Governors’ Teaching and Learning Committee. All students have the opportunity to share their views through their Change Teams as part of the Student Leadership Programme. 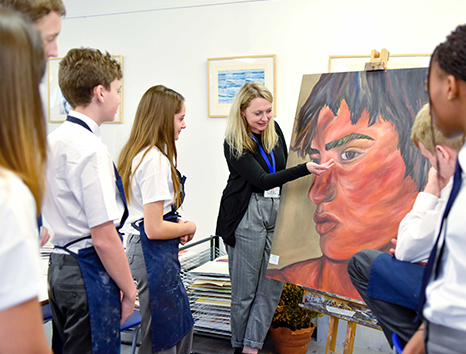 We listen to the views of students with SEND by providing a robust pastoral support system which includes tutors and student managers who liaise with the Learning Support team, class teachers, Key Stage leaders and Heads of Faculty. We take bullying very seriously. We help to prevent bullying of all students, including those with SEND, by the application of the Behaviour policy, the Single Equality policy and the Anti-bullying policy. The SEND team work with all students and staff to raise awareness of inclusive attitudes and approaches, for example, through assemblies and training. We encourage all new students to visit the academy before starting. 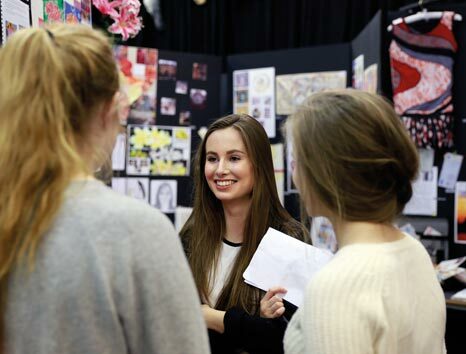 We offer open mornings, open evenings and feeder primaries are visited by King Alfred’s Academy teachers. There is a partnership-wide transition day for students moving sites and from primary schools. For children and young people with Special Educational Needs we offer extra bespoke visits and 1:1 support and liaison. We begin to prepare young people for transition into the next stage of their education or training through a tight system of liaison and information-sharing with teachers as the students move across sites and through the key stages. This is supported by the dedicated student managers for each year group. If you are concerned about your child, please contact King Alfred’s Academy SENCo Mrs Shale or Head of Inclusion Mr Harvey via email: enquiries@kaacademy.org or 01235 225700 (Centre Site). If you’d like to feed anything back to us, including compliments and complaints about SEND provision, we aim to respond within 48 hours. Oxfordshire’s Local Offer contains lots of information for parents. 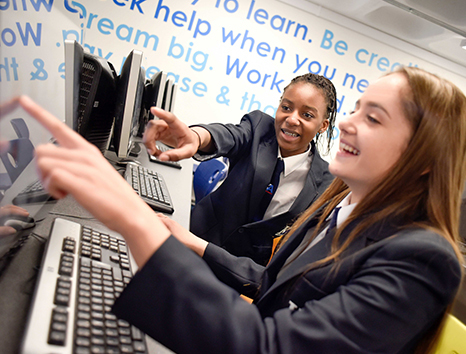 King Alfred’s Academy has contributed to the County’s Local Offer through attendance at a training workshop and through trailing the new guidance and systems.